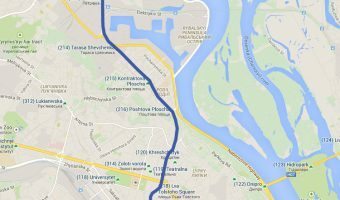 We have three maps of the Kiev Metro system; a schematic map, an overlay map, and an interactive map. The schematic and interactive maps offer English translations of the station names. The map below is a schematic representation of Kiev’s excellent subway system. 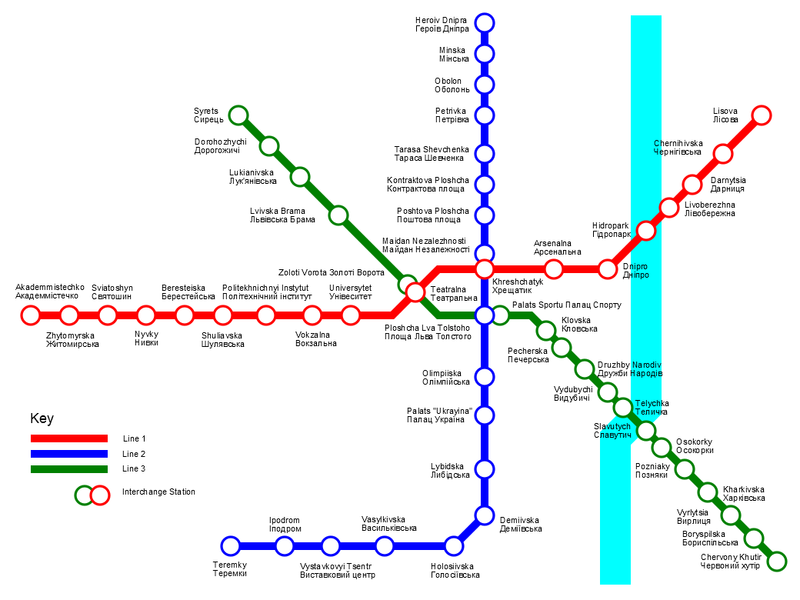 It offers a simplified view of the lines and clearly shows the transfer/interchange stations. Lines and station names are written in both English and Ukrainian. 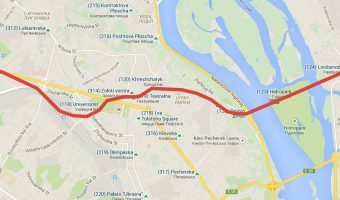 Kiev Train Station (aka Kiev Passenger Railway Station) is next to Vokzalna Metro Station (Red Line). 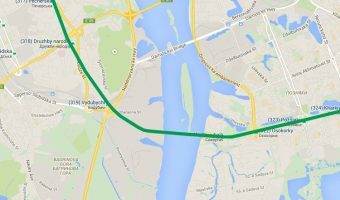 There is no underground station at either Boryspil International Airport or Kyiv International Airport. 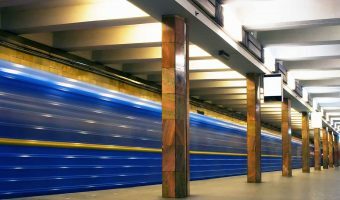 Our interactive map is probably the most useful map of the Kiev Metro you’ll find. All stations are plotted using exact latitude and longitude coordinates. The map below shows all three lines, overlaid on a map of the city. Stations include Zoloti Vorota (for Golden Gate), Palats Sportu, and Druzhby Narodiv (for National Botanical Garden). The first line built runs from east to west. Stations include Teatralna, Khreschatyk, and Arsenalna (for Pechersk Lavra).